51-year-old Jorge Luis Valencia-Lamadrid told officers his 21-year-old son physically attacked his other son so he retrieved a shotgun. 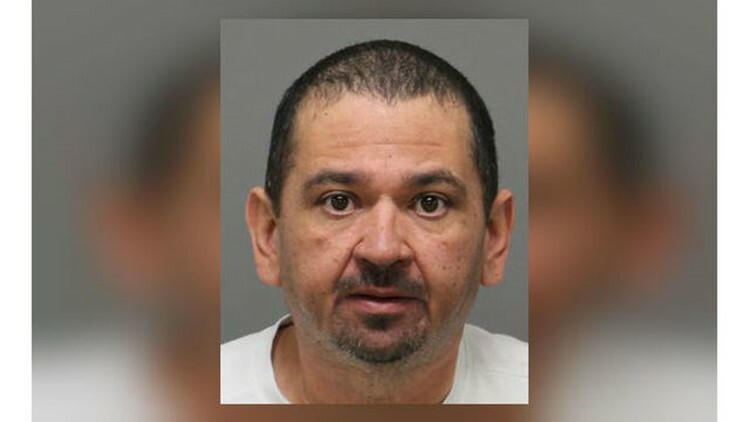 CARY, N.C. (WNCN) - A Cary dad is charged with shooting his son on Thanksgiving Day following an argument over national anthem protests between his kids. The shooting happened after 5 p.m. on the 100 block of Fallsworth Drive, a subdivision located off of West Chatham Street. Police said at the time that it was domestic-related, but did not release the relationship between the shooter and victim. Search warrants obtained by CBS 17 on Tuesday revealed the suspect, Jorge Luis Valencia Lamadrid, 51, is the father of the 21-year-old victim. According to the warrant, witnesses told police that the victim had been drinking heavily throughout the day before the physical and verbal confrontation that led to the shooting occurred. According to the warrants, once Lamadrid realized he couldn't stop the confrontation and his youngest son wouldn't leave the home, he went to get his shotgun. The man left the home and went to the backyard after seeing his father with a shotgun. One of Lamadrid's other sons then started an argument with him saying that it was his fault the whole confrontation began, warrants show. He then asked that son to leave the house. His son complied and left. Once that son left, the victim came back into the house and continued to argue with his father before Lamadrid took his son's bags and put them outside on the back porch. His other son, who was first in the argument with the victim, then threw his brother's bags off the back porch, according to the warrants. Lamadrid is charged with assault with a deadly weapon inflicting serious injury in connection with the shooting. Lamadrid was arrested and has since bonded out of jail, according to arrest records.